I just picked this up about a week ago and figured I'd write a quick review for anyone who's looking at the EXO-400. It's not bad but not great. It seems to do the job so far but it hasn't been terribly hot yet, either. With all the vents open, you can feel air, but barely. Compared to an HJC CS12, the scorpion is noticeably better. BUT, I wouldn't say it vents great or anything. I'm also interested to see how well the vents hold up to use. Only time will tell, I suppose. Amazing. 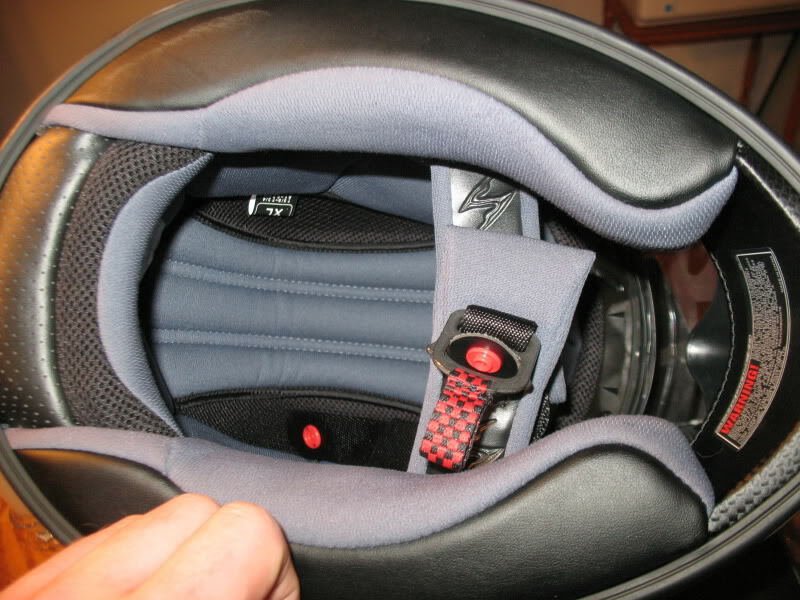 I rode in 35F weather the other morning and could see my breath inside the helmet. STILL no fog with the visor completely closed! My other helmets had to be cracked open in this kind of weather. Also, the shields are very easy to change. I heard a couple people say they struggled with this, but I don't know how. I had the thing off and on in less than a min the first time I tried. Very nice. Pretty plush, feels good. No stress points or anything annoying. I heard they ran small, and I'd have to agree. I normally wear a large, and took a chance getting an XL. It fits much like a large in other brands. I think a scorpion in LG would have hurt. You can buy the LG interior for around $30 anyway... the shell is the same. The strap is nice. It has pads on it, a pull tab on the retainer, and the extra strap actually snaps up out of the way so it doesn't flap around. Nice! It's a little bit heavier than some, but really doesn't feel like it. In fact, compared to the CS12, it felt noticeably lighter when riding for some reason. I think it may be in the aerodynamics. When just sitting, the weight felt about the same. I thought it was louder than the CS12. I've heard people say it's quiet, but I wouldn't agree with that one at all. It doesn't bother me because I wear either ear plugs or noise canceling headphones 99% of the time now anyway. Can't beat it. I paid $98 shipped for this helmet, and it was worth every penny, IMO. Even with the regular $150 price tag, it's still well worth it. I've seen similarly priced helmets that aren't near the quality of this one. I'd buy another one, and most likely will. Hell, for $500 I could have a different one for every day of the week. It also comes with some extra screws and a nice helmet bag. Doesn't come off as a "bargain" helmet at all. for the money.........your review and sharp PIC's make me feel better about getting one. I totally agree with you Trout. If you get the chin thingy option it helps with noise and keeps your chin warm too. I have the 700, I can not compare the two, but I love my 700 also. Um... Er... Ahh... Indiana, there a reason why you wear a pink helmet? I always thought you were a 'Sir'. Shall I change that to a "Ma'am"? KuroshioUm... Er... Ahh... Indiana, there a reason why you wear a pink helmet? I always thought you were a 'Sir'. Shall I change that to a "Ma'am"? Kuroshioia;lkdfjasl;kdfjUm... Er... Ahh... Indiana, there a reason why you wear a pink helmet? I always thought you were a 'Sir'. Shall I change that to a "Ma'am"? Thanks for the nice comments, peeps. Indy, I was thinking about the air dam thing and I'm probably gonna order one. It would be perfect for chilly mornings. i wanted to give my 2 cents on the exo 400... i bought one when i bought my bike abuot a month or 2 ago and love the helmet. 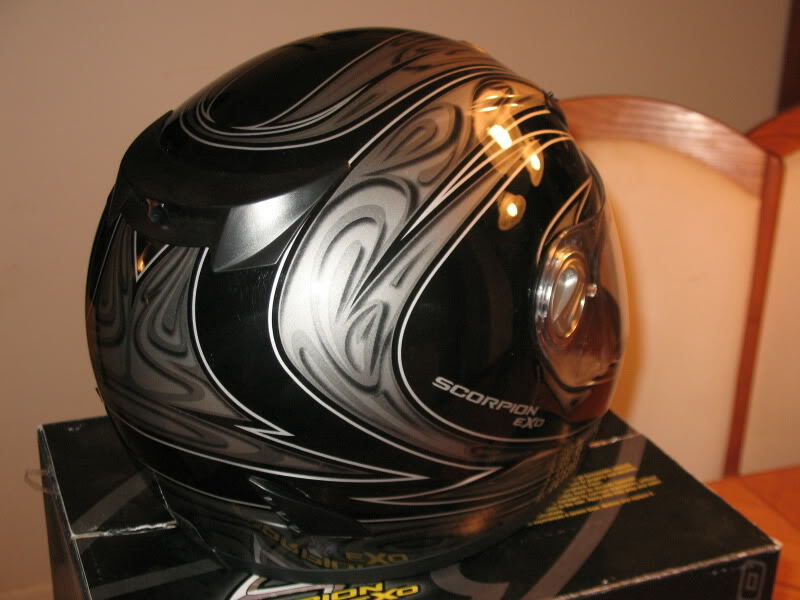 in fact i like it better than my fathers shoei helmet. 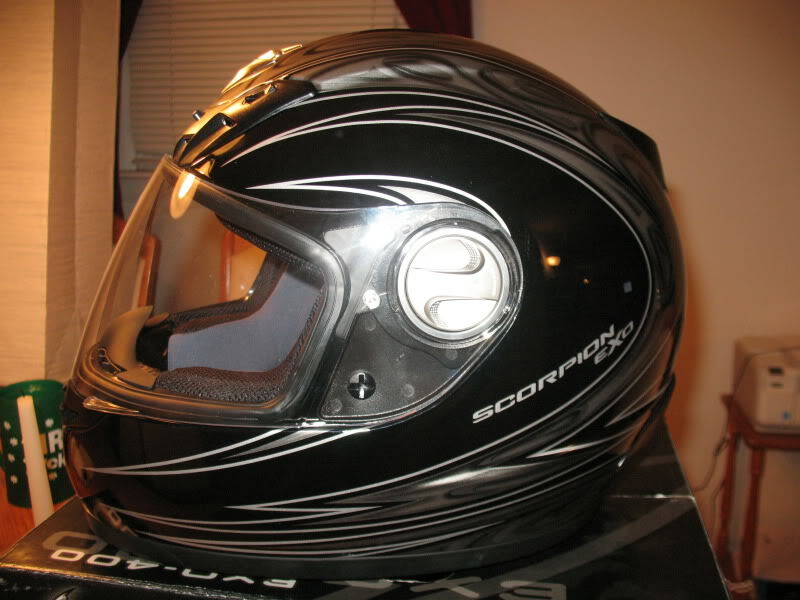 the worst part about this helmet imo is the noise is pretty bad while going highway speeds. but for the price who can complain? as far as the vents go to answer your question they hold up pretty well so far but i will have to say the 2 vents on the left and right side of the Scorpion emblem are starting not to function well. I think it's a good helmet, too, Elite. Thanks for the input. Doesn't matter at all to me, tho, because I doubt they really do a dam thing anyway. The main vents seem solid enough and that's what matters. 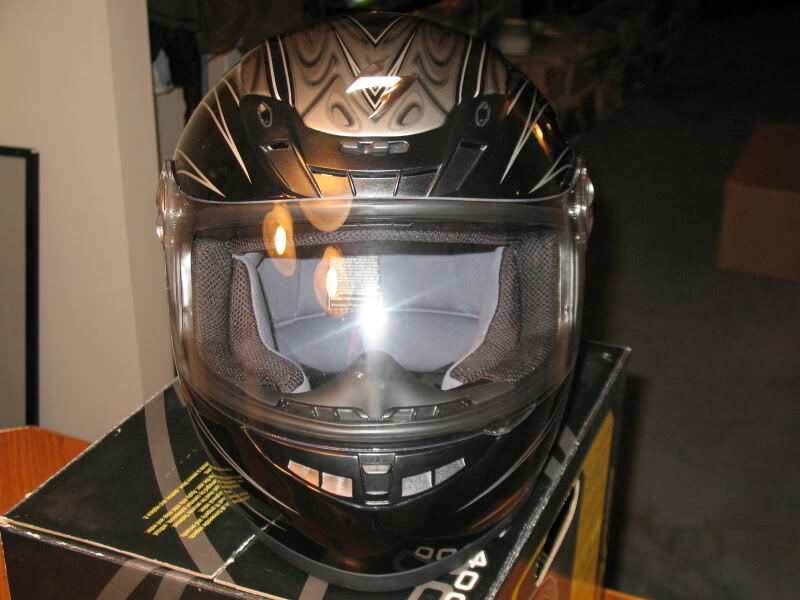 i got this one also, and it's a very nice helmet for the price. my only beef is with the air flow - even with the visor closed, it feels like the wind is purposely trying to dry out my eyeballs. usually wear some tight glasses with the helmet. also, the visor doesn't have a stop position with the shield only barely open - with my kbc helmet it had this perfect place i could just crack the visor open for a little bit of air.